At Dahl Lighting Showroom, we focus on quality, custom lighting for your home and business. With products from over 60 selected manufacturers, we have the right fixtures and accessories to suit your needs. 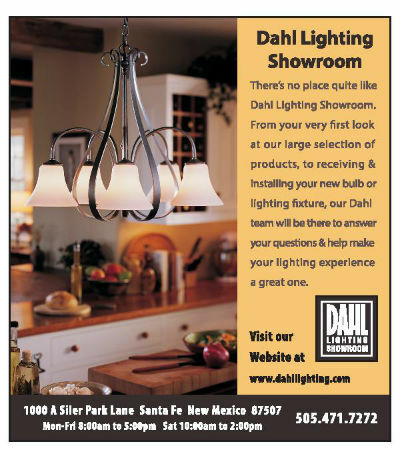 Dahl Lighting is a full-service showroom that can help you with all of your lighting needs. Our long-term Santa Fe residents understand how the proper lighting in your home or business can enhance your Santa Fe style of living.